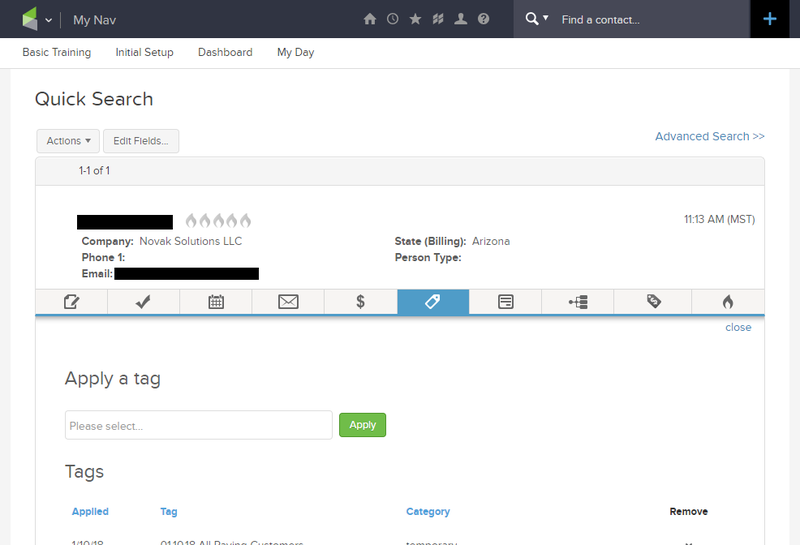 If you aren’t using the contact shortcut bar, then you are probably losing a lot of time waiting for Infusionsoft contact pages to load. Nearly anything you’d need to do with a contact (other than updating contact fields) can be accomplished without ever pulling up the contact’s record. The contact shortcut bar is available when you hover over a contact in the search results. 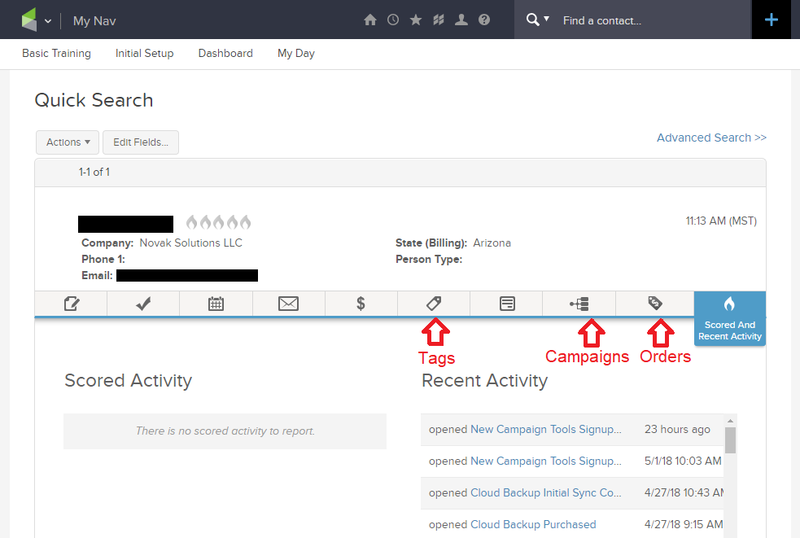 It gives you quick access to the most vital parts of a contact’s record, including tags, orders, and campaigns. You can view the contact’s activity, read notes, check appointment dates, and more. To use the shortcut bar, perform a contact search. Hover over a contact to make the shortcut bar appear. Click one of the shortcut bar icons. You can hover over the icons to find out what they represent. You can also take action. For example, you can add or remove tags, add quotes and orders, and make notes. The best part? It is fast! Instead of waiting for the full contact page to load, it loads just the information you need.